Arrival Advisor is a free mobile app that helps refugees and immigrants in British Columbia find information and services to plan their settlement journey. In 2017, PeaceGeeks launched the Arrival Advisor project, building an app that fast-tracks newcomers to Canada to successful and sustainable settlement by providing them recommended information and services tailored specifically to their needs, circumstances, and varying stages of settlement. Arrival Advisor will be available in English, French, and Arabic, with plans to include Chinese Traditional, Chinese Simplified, Korean, Punjabi, and Tagalog. The app will launch in British Columbia with plans to scale to other regions of Canada. 153,000 newcomers currently live in Metro Vancouver, comprising more than 16% of the total population of the area. Canada welcomes 300,000 newcomers annually — but how well do we support immigrants after they’ve arrived? According to the 2015 Vancouver Immigrant Survey, 1 in 3 newcomers remain unaware of services and resources available to them. In 2016, seven municipal districts across the Lower Mainland identified access to information as a top barrier for immigrant resettlement. 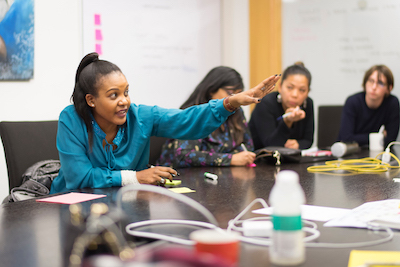 Designed alongside immigrants, refugees, community service providers, and coordinating organizations, Arrival Advisor bridges current gaps in the accessibility of information for newcomers. While we initially chose the name Pathways because it conveyed the core message of our project in terms of its capacity to provide newcomers to Canada with a roadmap of their settlement from arrival to integration, we want to offer newcomers and potential users a more immediately recognizable brand: one that right away informs audiences of its purpose and who it will best serve. We want users to be confident knowing our app has the ability to offer them the information and tools they need to navigate their settlement in Canada. Our goal is to tangibly demonstrate to newcomers that we designed this app specifically for them as a functional tool, but also to illustrate awareness, acceptance, and convey a meaningful welcome to Canada. 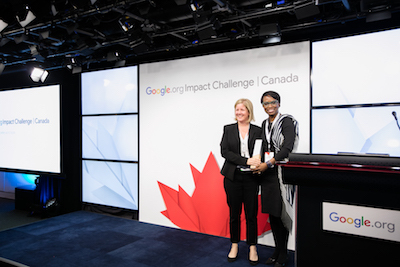 In 2017, PeaceGeeks placed in the Top 5 among 900 Canadian non profit organizations of the Google.org Impact Challenge, winning $750,000 to launch the Arrival Advisor Project. The final stages of development and launch of the Arrival Advisor app are additionally funded by Government of British Columbia. Arrival Advisor is a newcomer’s one-stop-shop for settling in B.C. Whether they're looking for a job or registering for the Medical Services Plan (MSP), the app gives users to the tools to successfully jumpstart their life in Canada, from when they arrive to the point in which they feel confident in their status as a new Canadian. Arrival Advisor will immediately be available in English, French, and Arabic. PeaceGeeks is currently translating the app into Chinese Traditional, Chinese Simplified, Korean, Punjabi, and Tagalog. Through an anonymous questionnaire, the app helps newcomers identify their most urgent tasks and recommends them to their most relevant information and services. Arrival Advisor helps newcomers navigate their settlement journey step-by-step by providing intuitive recommendations for their next steps, as well as offering Maps compatibility to get them where they need to go. PeaceGeeks is passionate about protecting data security and privacy, especially for communities at risk. Users do not need to provide any personal information or create an account within the app, and they can delete their user data at any time. An optional questionnaire will tailor the wealth of information within the app to the user’s needs while respecting their anonymity, alternatively, users can navigate the app through its general organization of information. Arrival Advisor is being developed by PeaceGeeks with the endorsement, consultation, and close collaboration of Metro Vancouver local immigration partnerships, and municipal and provincial governments. The app is community-driven, through extensive research and analyses of existing challenges to newcomers and efforts to offset or mitigate these challenges, including stakeholder surveys and our unique series of Advisory Committees. 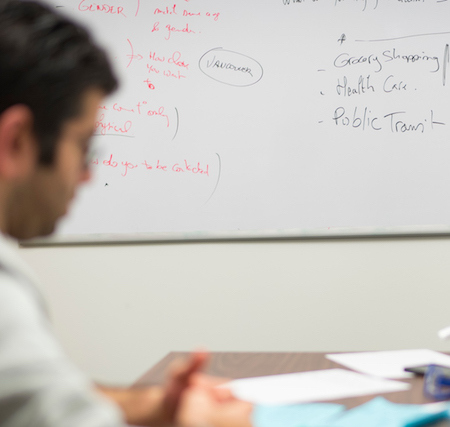 Immigrants and refugees of diverse backgrounds help us fully understand newcomer needs, coordinate consultation with the broader Metro Vancouver newcomer community, and perform usability testing. 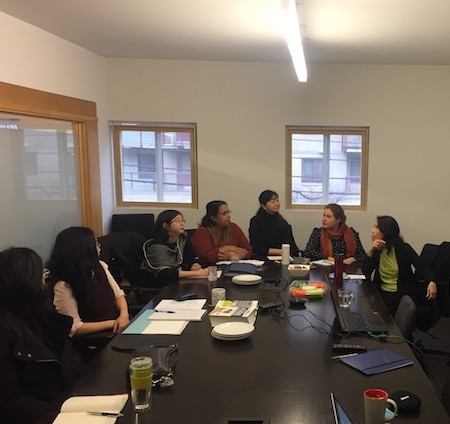 Frontline settlement workers and practitioners from major settlement and community organizations in Metro Vancouver shed insight on sector challenges and test the app for potential use with their clients. Leadership of major Metro Vancouver settlement organizations, government, Local Immigration Partnerships, and human service database partner BC211 drive the project’s direction. Get in touch to help us test our platform or stay in the loop about our project launch. You can help us expand the project, improve product features, and ensure Arrival Advisor's longevity by donating to the project. Arrival Advisor is a redesign - for a Canadian context - of a prototype that PeaceGeeks developed in partnership with the United Nations Office of the High Commissioner for Refugees (UNHCR) called Services Advisor. Services Advisor helps UNHCR provide over 3 million refugees in Jordan and Turkey with access to accurate and up-to-date information on lifesaving humanitarian services. Arrival Advisor was previously known as Services Advisor: Pathways. We chose to rebrand as Arrival Advisor in order to more clearly convey the ideals of the project.